September marks the return to school, and so begins the annual scramble. A scramble to find solutions for the many kids who find aspects of learning and self- control difficult – even unnatural. In just a few week’s time, many of these kids will be prematurely diagnosed with ADHD, and will be medicated before anyone has time to think about how we can nurture these young minds, help to structure their environments, or productively guide their energy. Attention – focusing long enough and accurately enough to learn important information. By extension, attention also involves the ability to block distraction. A well-orchestrated executive brain knows its priorities. Organization – is about managing space. It’s also about taking the emotional impact of chaos seriously. Why? Because chronic disorganization undermines forward momentum and a sense of accomplishment. Planning – is about managing time, and is more important than any other executive pillar when it comes to achieving goals. Without this skill, raw talent may go unexpressed – and the world may never get to see a person’s potential. Self-awareness – pertains to having both sufficient self knowledge and an understanding of how one is seen by others. This information is essential to making purposeful choices about how to act: a critical skill in situations where one wants to avoid unintended consequences that lead to isolation or ostracism. Anyone who doesn’t agree that social skills are important to learning hasn’t been in a classroom lately. Almost all of us have heard that the secret to investing is to start early. The same wisdom applies to building executive control. We should try to build these skills as early in life as possible, and with respect to school, we should establish a plan for helping very early in the academic year. This means that we adults must use our own executive skills to anticipate the challenges students will have, and plan accordingly. Planning is the key. When we act pre- emptively to help students with learning skills and take responsibility for tracking how they are doing – very, very few kids fall thorough the cracks. If you don’t believe me, check out Kia Gregory’s inspirational and uplifting story about Barbara Adderley, principal par excellence of H. M. Stanton School in Philadelphia. It is quite simply the best “worst to first” story in U.S. education today. Wow! Where do they grow leaders like this? And are there any more? As a psychologist, I’m awed by Principal Adderley’s intuitive understanding of children’s practical needs – especially the need to set achievable goals, benchmark progress, and quickly problem-solve obstacles. Adderley demonstrates that we can spend less time hyper-focusing on multiple sets of “special” needs – a term I have less patience for with every passing day – and instead, take a pragmatic view of how to collaborate with children and families to achieve widespread, consistent success. In No Mind Left Behind I have tried to identify the common denominators of capability and how we build it in kids. I believe that when we are successful, as in the case of Barbara Adderley, one reason is because we are acting as surrogate executive controls. What is surrogate executive control? 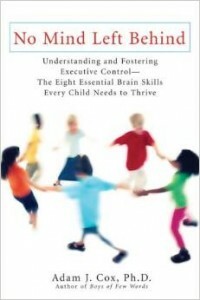 Along with helping kids help themselves, we can create systems for surrogate executive control. This refers to how we can externalizethinking skills that are otherwise managed internally. For example, Nick should remember to mow the grass early on Saturday morning, so that he can be ready for practice at noon, and has the late afternoon available for hanging out with friends. But Nick needs a system for managing his time and remembering what to do. When we help Nick build this system, we are acting as a surrogate executive control. Aren’t kids – especially teenagers – supposed to problem-solve for themselves? It is good and natural for parents and teachers to set high standards for performance. But experience usually teaches us that our expectations may be a good fit for one child, but really miss the mark with another – even when these kids are part of the same classroom or family. Some kids will need surrogate executive control well into adolescence, in some cases, college! Remember, Factor Ex is developing well into early adulthood. Why do you think almost all colleges and universities now have sophisticated, busy, learning centers? There is widespread recognition that higher education can lose its luster for intelligent students with under-active executive thinking skills. Surrogate executive control is no less than the fulcrum on which the prospects of such students tilt. And let’s not fool ourselves. I’m not talking only about so-called special needs kids – I’m talking about everybody. Even an overachiever like Oprah Winfrey has an organization guru (Julie Morgenstern) – so why shouldn’t your eleven year-old? If you read my book, and know of a child or adolescent who doesn’t need help with at least one of the eight pillars, email me and let me know – because you may have found a first! Having visited many schools in the past several years, it is evident that those with active learning centers that support executive thinking skills shine. One that deserves special mention is the Wernham West Centre for Learning at Upper Canada College. Under the leadership of Executive Director, Mary Gauthier, Wernham has helped to unlock the capabilities of countless students. From a skillfully designed agenda book to mandatory daily assignment check-ins, Gauthier and staff have engineered a strategy that emphasizes insightful, hands-on problem-solving. This is so very different from the unfortunate moralizing that delays success and leads to hard feelings: “if he would only try harder;” “she doesn’t care enough;” “he could do it if he wanted to.” Bottom Line:Executive skills are as important as IQ for school success, but the good news is that we can teach these skills and develop systems to help all kids succeed. One important message of my presentations is to avoid extremism in thinking about how to help children. For example, although many children are over-medicated for behavioral challenges (according to CNN Money.com’s Aaron Smith, psychostimulant medication is a two billion dollar industry), I believe some medicine has a constructive role to play for many kids. It’s just that in most cases we should be trying other interventions first, or at least in conjunction with medicine. These are the options of first resort that form the nucleus of No Mind Left Behind. Experience has shown me that most families share a similar philosophy. Great! So what’s the problem? Well, the problem is accessing information to guide these options of first resort. We’ve got to go way beyond preferential seating in class, a laptop for notes, and a checklist on the refrigerator. We need to apply more sophisticated interventions that actually help grow a child’s brain – retaining as much of the valuable grey matter as we can, so that we grow outstandingly capable adults. A primary reason for my visits to schools is to translate brain research into practical strategies. Learning about Factor Ex makes it easier to teach effectively. I help teachers identify executive control deficits, and know how to respond. It’s also important that parents know how to do this. During a recent interview on the Michael Dresser Show (.mp3 – 22 MB), Mr. Dresser asked me “can parents actually do this?” My response: a heartfelt “Yes!” The interventions that build executive control are straightforward and practical – and will be sensible to anyone who has spent time raising or teaching children. If the best that we can do is to cross our fingers and hope that success lands in the lives of our kids, many of us will end up sorely disappointed. By maintaining a consistent, matter-of-fact approach to building success, we keep the challenge in front of us rather than inside of us. In my mind, this is quite different from the notion of “special” needs. If I’m someone labeled with special needs, I might feel as if I – as an individual – don’t measure up to “normal.” The reality is, however, that every learning situation involves an interaction between an individual and his or her environment. This is exactly why the performance of a child can vary so dramatically from one classroom to the next. And I guarantee you this – when we unlock the solutions that work well for “special needs kids,” we will have done every student a great service, because all kids benefit from the thoughtful scaffolding of learning skills. It’s not enough to learn only content – we all need to learn how to learn. Reg Weaver, president of the National Education Association, tells us: “We must arm children with critical thinking and problem-solving skills to survive and thrive in the 21st century.” He’s absolutely right. It’s not only about doing well in school, but socially and emotionally as well. Executive control is the common denominator of these capabilities, and I hope you will join me in insisting that we leave no mind behind. *You may want to check out my abridged executive control checklist to assess the executive skills of the kids most important to you. These statistics underscore the critical importance of the eight pillars in early childhood education. Not only do these skills contribute to learning, they make success with the social and behavioral aspects of school more likely. As these kindergarten teacher’s perspectives make clear, comparatively speaking, the self-control that grows from executive control is even more primary than having assimilated knowledge about letters and numbers. This belief on the part of kindergarten teachers speaks to the reality that a child with sufficient self-control can probably be taught to count or identify letters, while the inverse may not be true. Very bright young children whose emotions remain at an immature, dysregulated level are not fully ready to meet the demands of a typical school milieu. Many people have asked me this question. There is no trait that I know of that belongs exclusively to males or females. That being said, I don’t think I fully appreciated how many girls have problems with social communication and interpersonal awareness. (I thank readers for helping me to better appreciate this situation.) It is perfectly possible that the types of challenges I describe in Boys of Few Words fit your daughter. If so, many of the strategies I suggest in the book should work well. 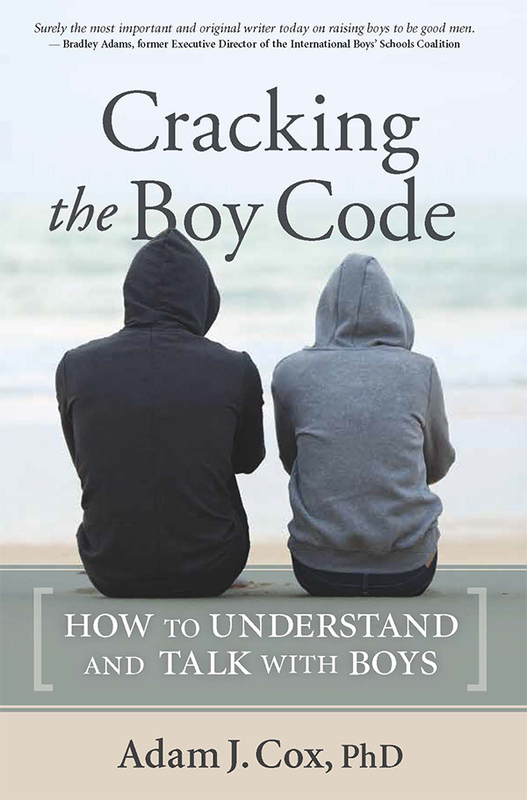 Approach social skills as a code that must be learned and remembered. Shift the burden away from needing to be more intuitive, and toward the practice and rehearsal of key skills. Good luck!